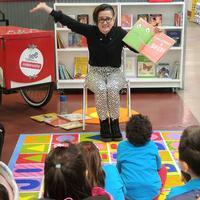 I'm a Children's Librarian at the South Philadelphia Library. I am also one of librarians who started our Book Bikes program, which I manage and ride in South Philly. Every week we have "traditional" library programs like storytimes and homework help, but also so much more! Some of the programs we regularly offer include vegan cooking classes, an English Conversation group, Overdose reversal training, jazz concerts, computer classes, and the list goes on. 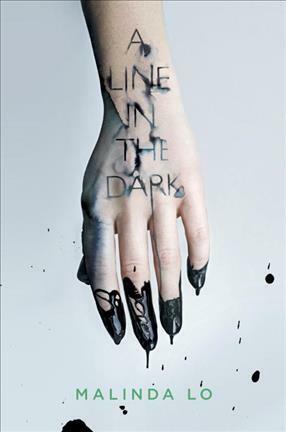 I'm reading A Line in the Dark by Malinda Lo, which is a gay teen thriller. I'm trying to start a queer bookclub with my friends and this is the trial run. Wish us luck (and send suggestions). I'm also watching Vanderpump Rules, and unabashedly love reality TV. Home sweet home in South Philly. Do you have a favorite librarian or other staff member at your neighborhood library you think we should shine a spotlight on? Let us know in the comments! I love working with Link Ross. She is so kind and receptive to all people!